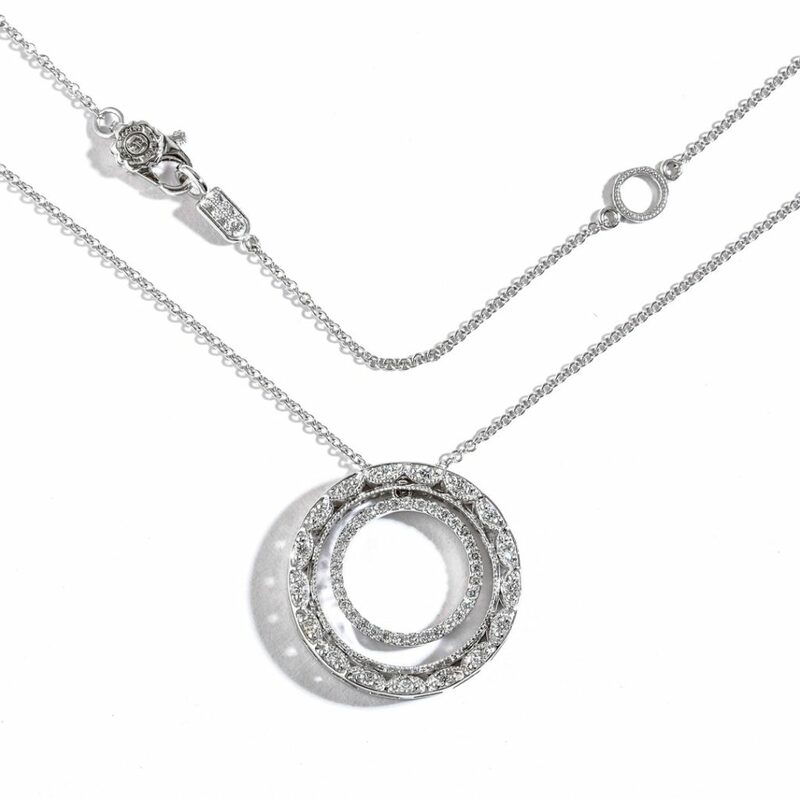 The Triple Halo Diamond Pendant from the Zadok Collection. 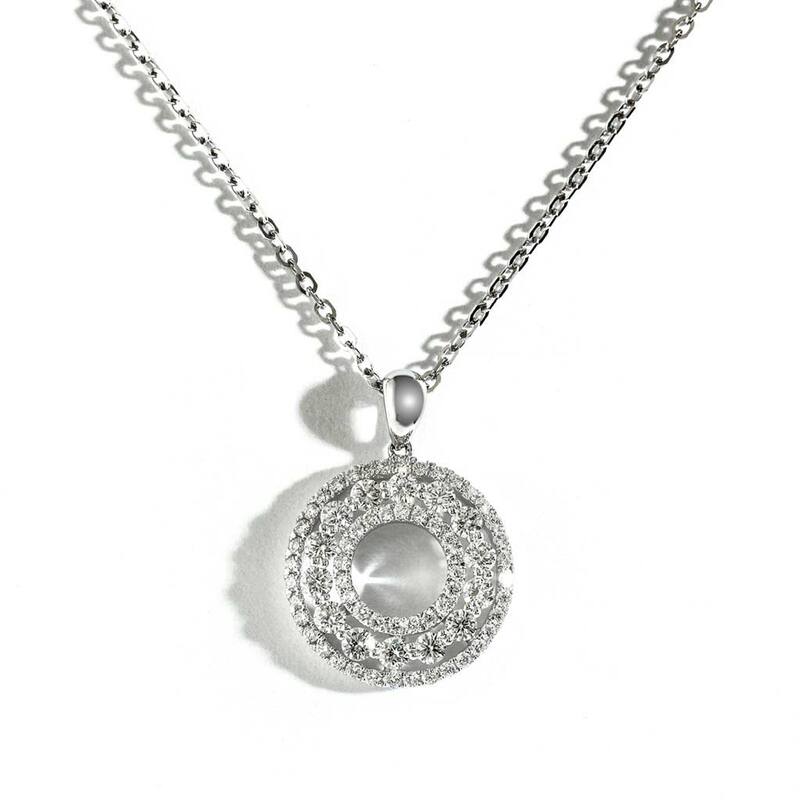 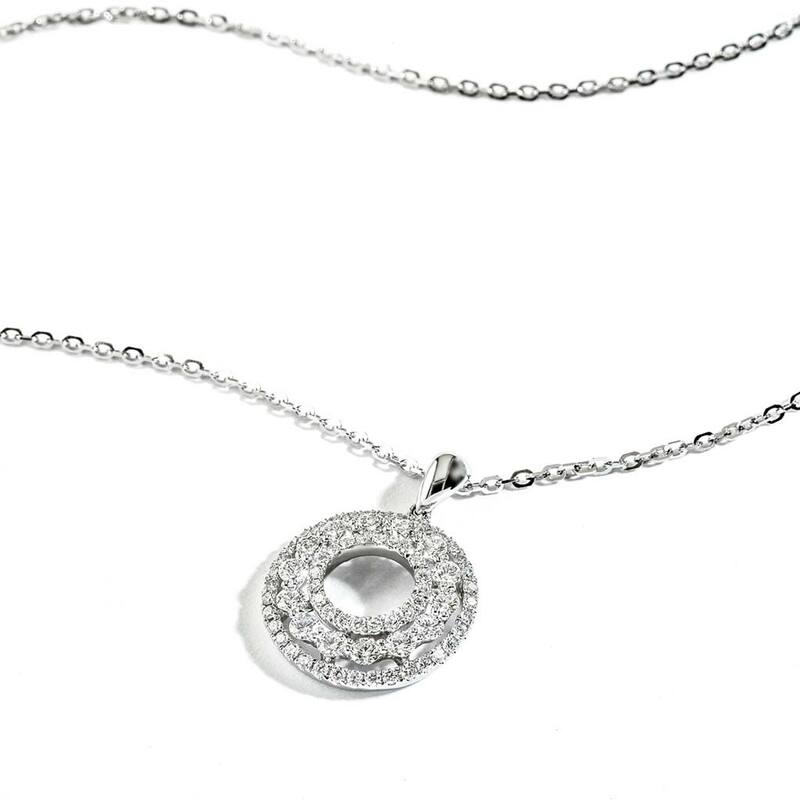 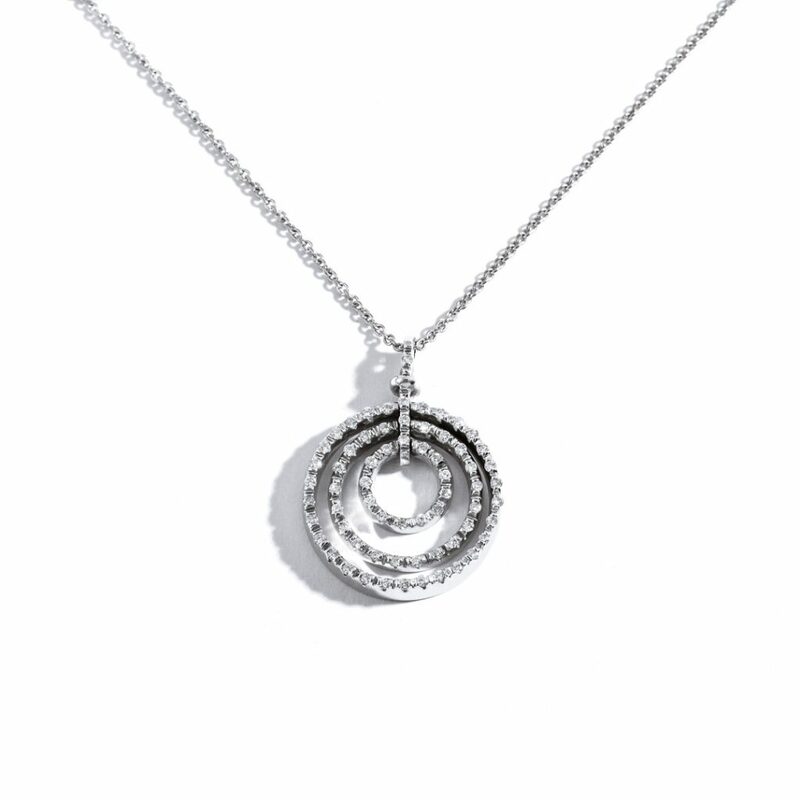 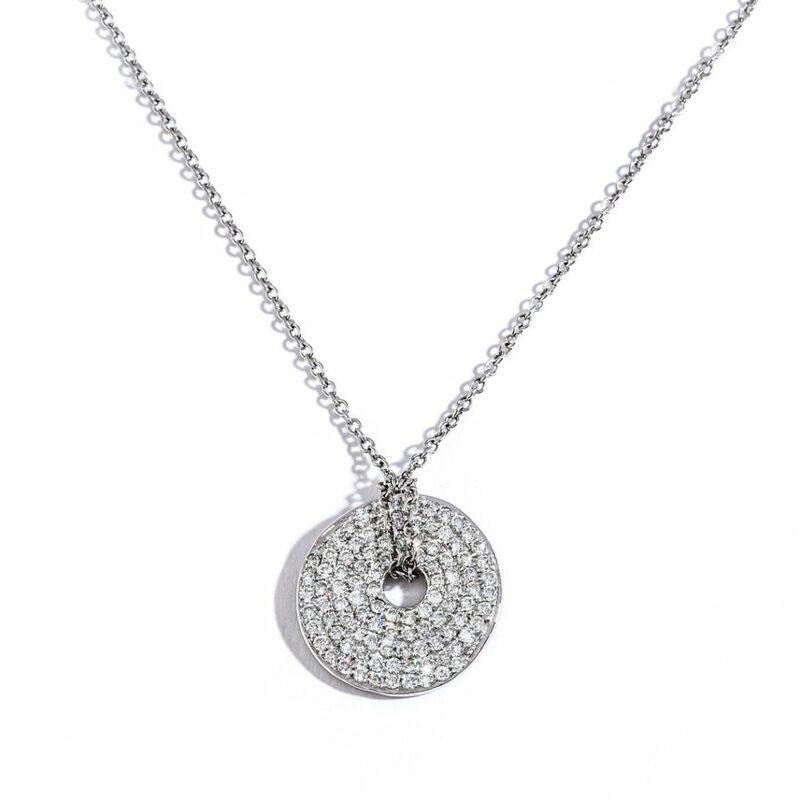 Set in 14k White Gold this beautiful Pendant will encircle your neck with sparkle. 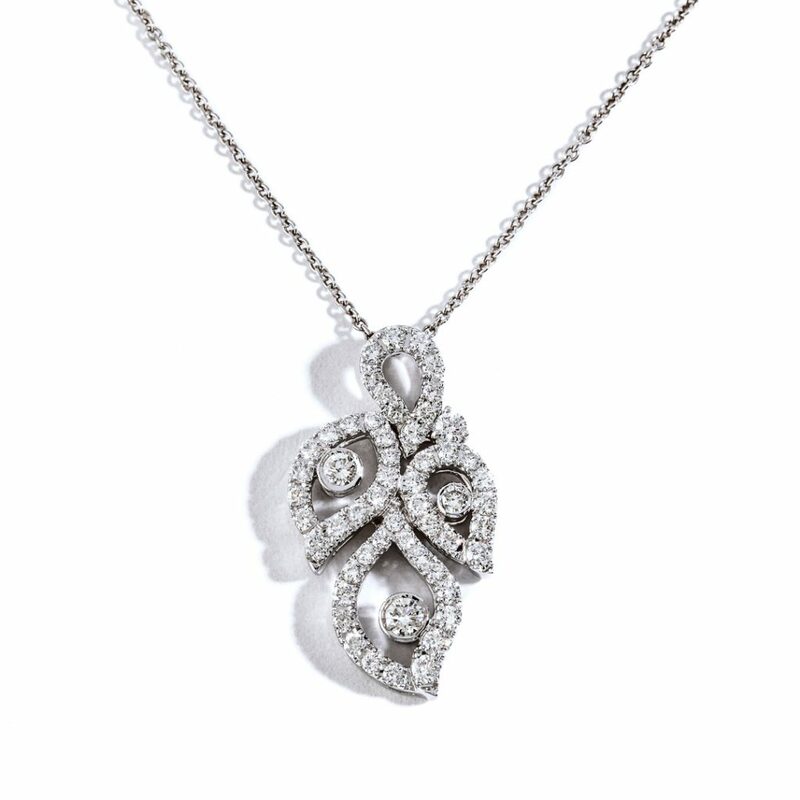 The Double Halo Drop Diamond Pendant from the Tacori. Set in 18k White Gold this deluxe Pendant will sparkle at every turn.